Im going to try and clear up this story as there are several good posts spread all over. Credit to all those who found the information, I will try and credit you below. DJ Baxter was brought into P.ie by the owner Monte to fix the site after several crashes. Mr Baxter introduced himself as a tech guy from Canada and was a friendly sort of chap. Some posters were quick to discover that Mr Baxter owned a website called, Psychlinks, a web services website with a forum. 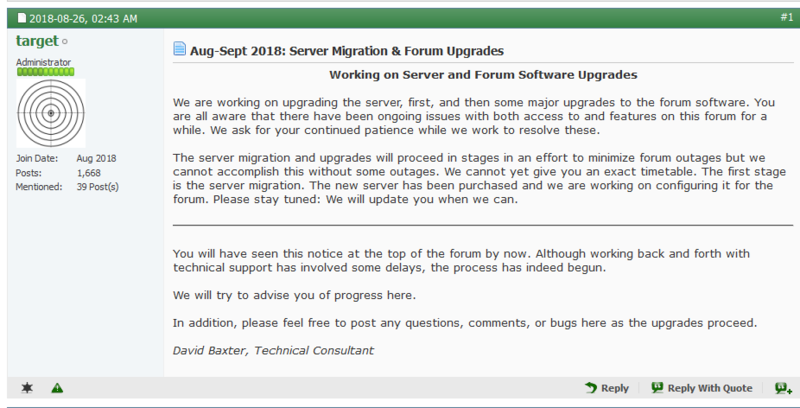 Inside the site, you could see proof that this site was indeed owned and operated by Mr Baxter when viewing the forums. Mr Baxter then told us that after fixing the site he was to now take over the Administration of Politics.ie. Mr Baxter once he became Admin started a regime of banning several long-standing members of P.ie, whilst giving warnings to various others members. 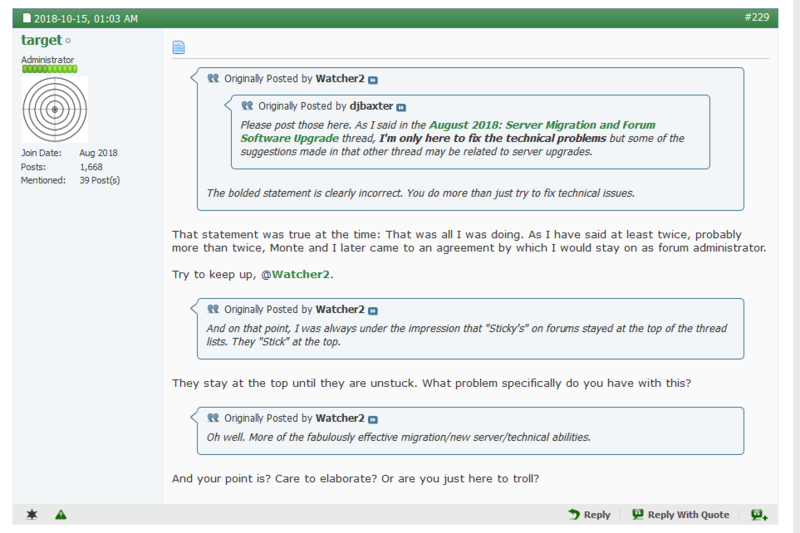 He completely overhauled the site warning systems under the guise of unbiased moderation which in fact was more biased. Some of those banned from P.ie did some digging and discovered this. A thread at David Baxter Online where he offers counselling services. Thanks to Poster Without a Name for this link. 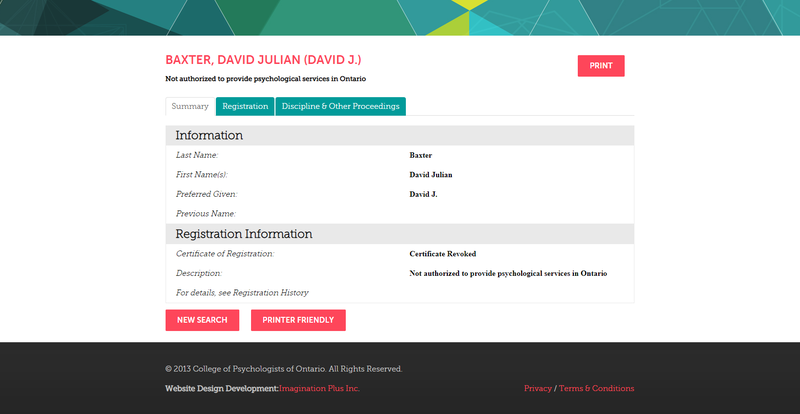 A rate my MD website that shows a Dr David Baxter, has feedback, says he is a psychologist and Gives and address as Ottawa, Ontario, Canada. It also has a website link to guess where? The website owned by David J Baxter. 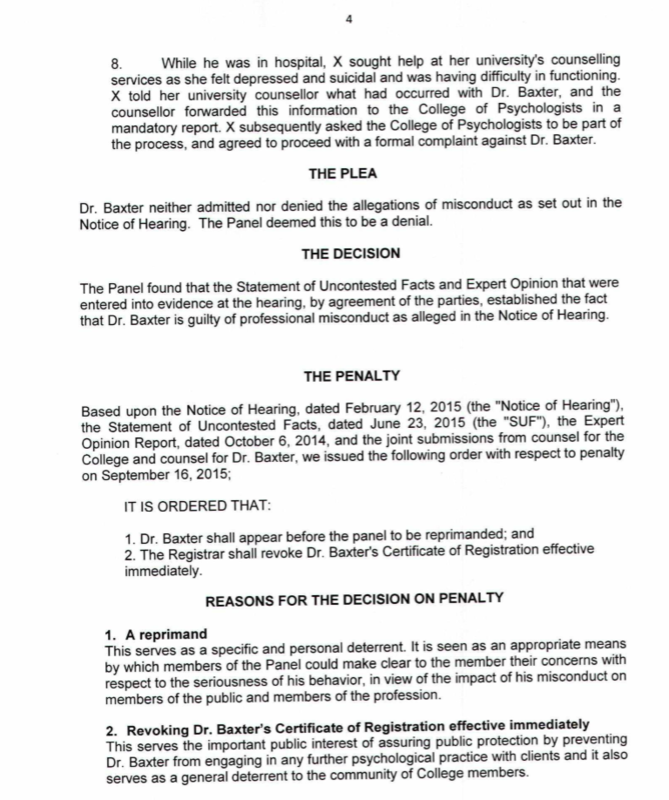 The reviews were made back in 2016 and said viewers should seek out a report that says Mr Baxter is no longer able to practice psychology due to sexual impropriety. 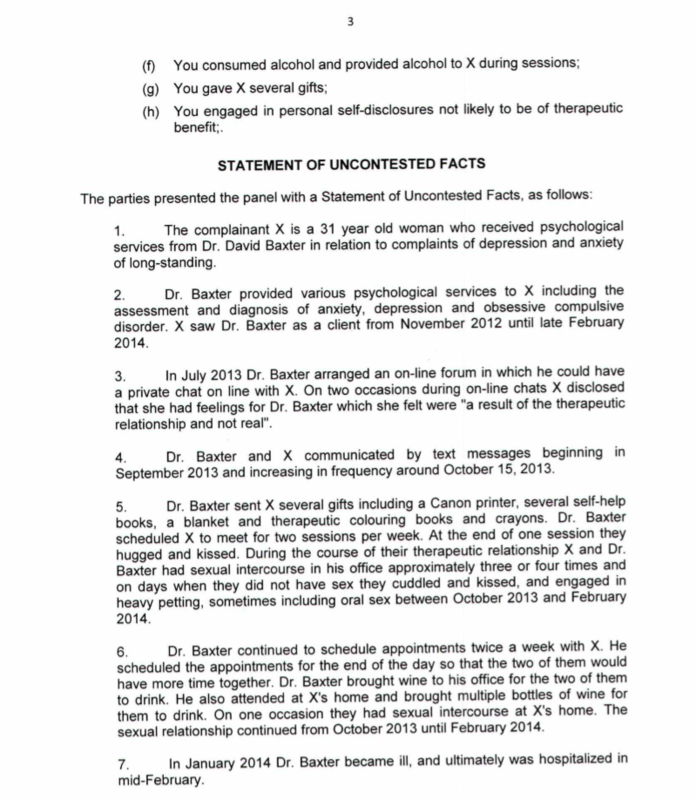 According to the report Dr DJ Baxter gave supplied Alcohol with wine, According to the disciplinary papers David J Baxter was found guilty of the professional misconduct laid out in the allegations contained in Notice of Hearing, dated February 2015. 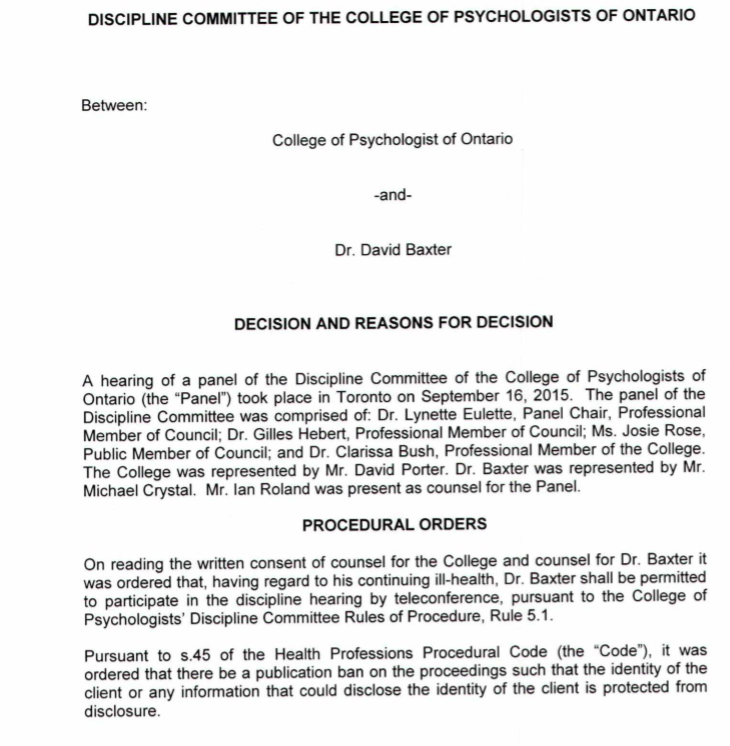 The allegations that he was disciplined for include abuse and sexual abuse under the Act covering psychologists in Ontario. 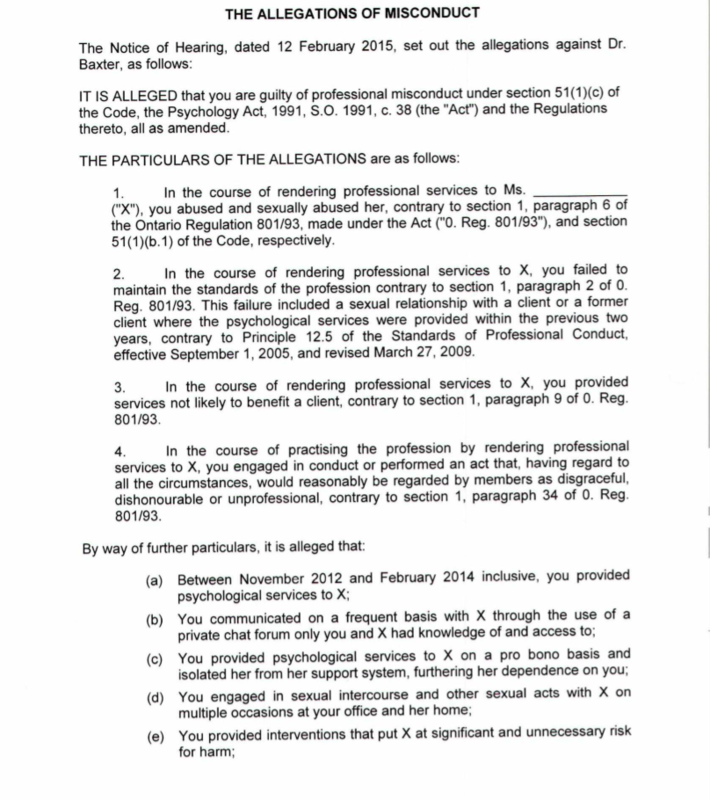 Among the allegations and statement of facts, he set up the psychology forum in July 2013 in order to have private chats through the forum with X. 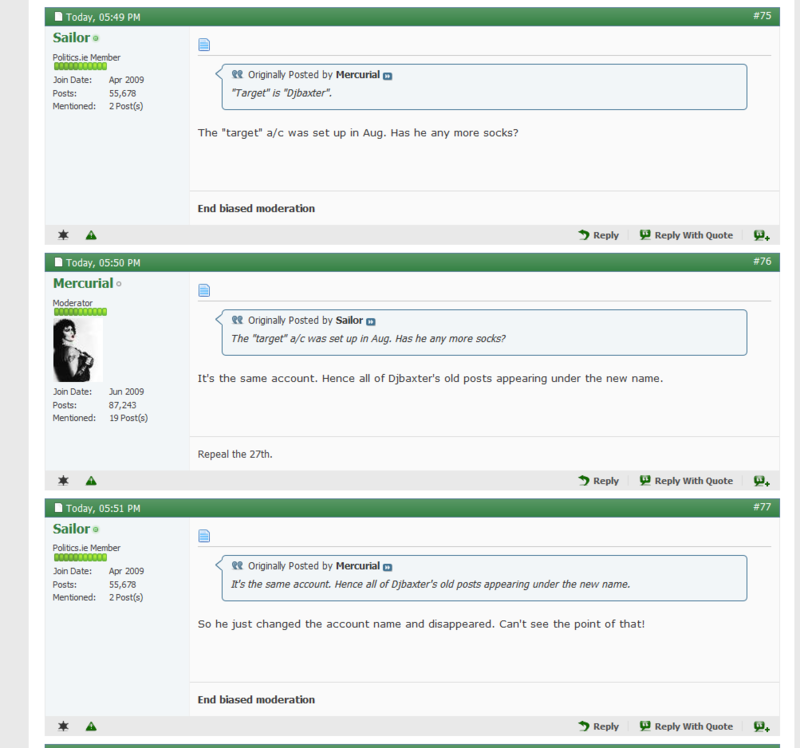 Over on P.ie DJ Baxter removed his username and Avatar and rebranded using the new name Target. 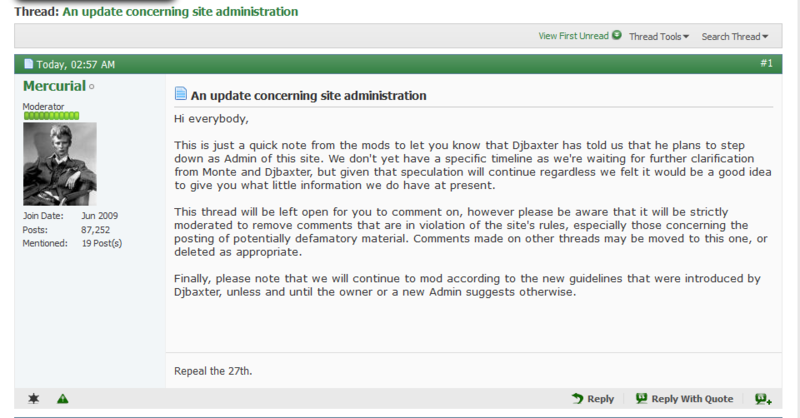 Moderator Mercurial also has confirmed that DJ Baxter is still the site Admin despite the name change. someone else in control has deleted and removed the majority of threads and posts relating to this. Some screen grabs can be found throughout this thread. The new site has a growing number of active mods dishing out infractions, warnings and bans . I hope they wont be biased like boards.ie . War has been declared against any posters vaguely "reactionary" with only a full fronted attack on the Muslim posters but also a Spenglerian conservative and a National Bolshevik getting the ban hammer landing on them over basically nothing. Essentially they want to turn it into an interweb "Gay Bar". Maybe P.ie's refugees will come here . Well Baxters response for my complaint of him publishing my personal details online was to ban me from the site. Anyone who posts there should remember their personal details are not safe whilst Baxter runs the site. Hopefully, the few good posters left over there will step forward into our ranks. I hope you make a formal complaint to the authorities, such shameful behaviour should not go unpunished. I will be on Monday morning, agreed he cant get away with that kind of carry on. Baxter seems to have a bit of a temper. You notice there is not one Pro Life mod among them, or one Irish Nationalist. Yes, after Zappone we've had quite enough of Canadian Libtards coming over here invading our country and trying to force their vile ideology on us. A lot of good posters have ceased posting there since he series of site crashes in July/august. 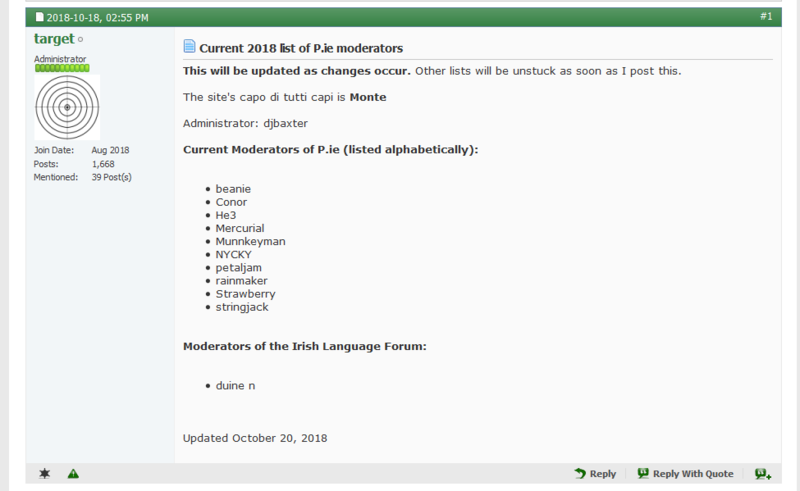 The chance to change and positively improve the moderation team at pie has been missed, in my opinion. I told Baxter as much.